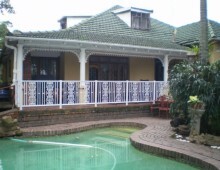 Old age homes Durban have amazing views and are set in green luscious natural surroundings. They’re also near top medical facilities and other amenities, like malls and community centres. If warmth and sunshine are what you’re looking for, old age homes in Durban are your best option. This first-class old age home is based in Hillcrest. It offers pure luxury and resembles a 5-star hotel in so many ways. It’s assisted living at its finest. Le Domain Care old age home offers a multi-disciplined approach to nursing, providing comprehensive pre- & post operative and rehabilitative care as well as palliative nursing. This old age home is a home-away-from-home. It provides a warm and caring environment where every resident is treated with dignity and respect. Homeleigh Haven only cares for a maximum of nine residents, ensuring individualised and top-quality care is provided to each resident. string(20) "Old Age Homes Durban"
string(1438) "Old age homes Durban have amazing views and are set in green luscious natural surroundings. They're also near top medical facilities and other amenities, like malls and community centres. If warmth and sunshine are what you're looking for, old age homes in Durban are your best option. We have featured some of the best old age homes Durban has to offer below... Old Age Homes Durban: Soins de Vie Old Age Home Durban This first-class old age home is based in Hillcrest. It offers pure luxury and resembles a 5-star hotel in so many ways. It's assisted living at its finest. Soins de Vie old age home offers a multi-disciplined approach to nursing, providing comprehensive pre- & post operative and rehabilitative care as well as palliative nursing. Read more here… Orchard Lea Old Age Home Durban This old age home offers a warm and loving environment for seniors... The rooms and facilities are clean and comfortable and the home provides nutritiously healthy meals.. Well trained staff and management care for residents around the clock, following a pro-active nursing approach. Homeleigh Haven Old Age Home Durban This old age home is a home-away-from-home. It provides a warm and caring environment where every resident is treated with dignity and respect. Homeleigh Haven only cares for a maximum of nine residents, ensuring individualised and top-quality care is provided to each resident. Read more here…  "
string(126) "With various old age homes Durban based - scattered across the beautiful scenery there must be one waiting especially for you." string(1131) "Old age homes Durban have amazing views and are set in green luscious natural surroundings. They're also near top medical facilities and other amenities, like malls and community centres. If warmth and sunshine are what you're looking for, old age homes in Durban are your best option. We have featured some of the best old age homes Durban has to offer below... Old Age Homes Durban:       Le Domaine Care Age Home Durban This first-class old age home is based in Hillcrest. 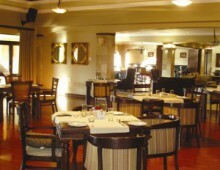 It offers pure luxury and resembles a 5-star hotel in so many ways. It's assisted living at its finest. Le Domain Care old age home offers a multi-disciplined approach to nursing, providing comprehensive pre- & post operative and rehabilitative care as well as palliative nursing. Read more here… Homeleigh Haven Old Age Home Durban This old age home is a home-away-from-home. It provides a warm and caring environment where every resident is treated with dignity and respect. Homeleigh Haven only cares for a maximum of nine residents, ensuring individualised and top-quality care is provided to each resident. Read more here…  "